I love a good sale. And I love a good sale with a coupon! 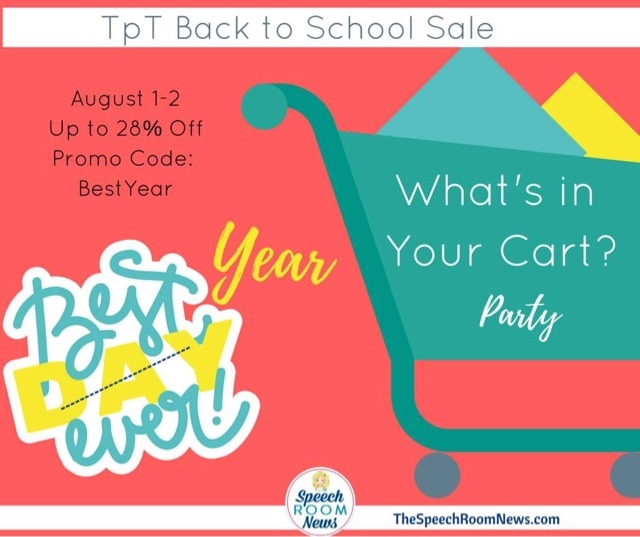 All summer I have been looking forward to TPT's back to school sale. Check out what's in my cart for tomorrow. 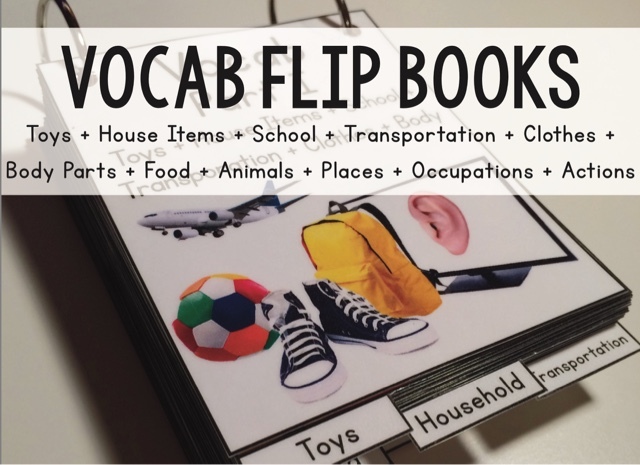 My preposition cards at school are form the 70s (you know the ones I'm talking about). 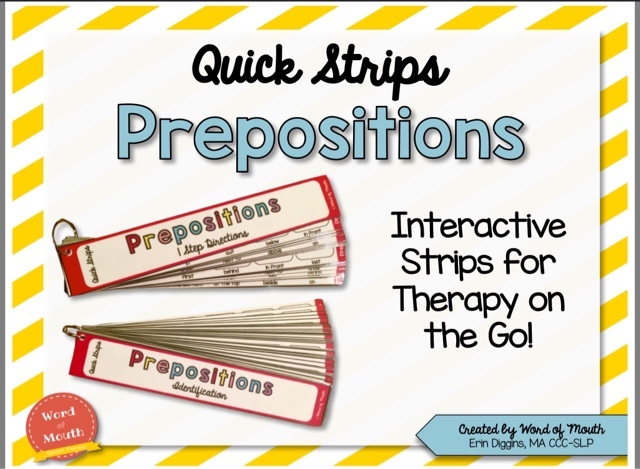 I've been looking for a great looking preposition resource that is very versitile - and I can't wait to try this out. It's created by Word of Mouth. 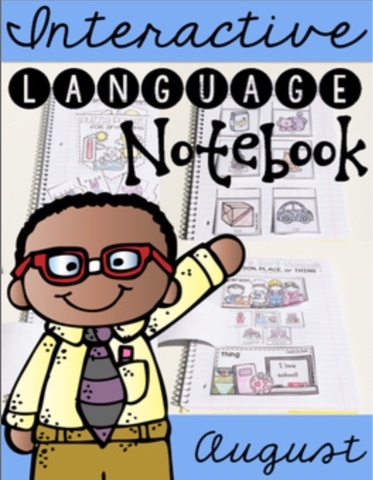 I've seen teachers using interactive notebooks and was thinking about trying to create interactive books for my students. But now I don't have to thanks Speech Is Sweet. Finally I can add some real photos to my vocabulary building materials. Connecting illustrated items to the real object is very difficult for my students at a lower language level. Cat Says Meow's resource looks great for this. 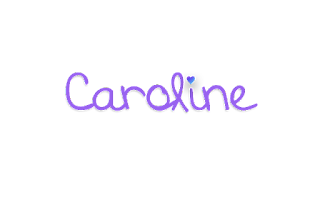 Now, here's what you need from my store to get an amazing start to your school year. 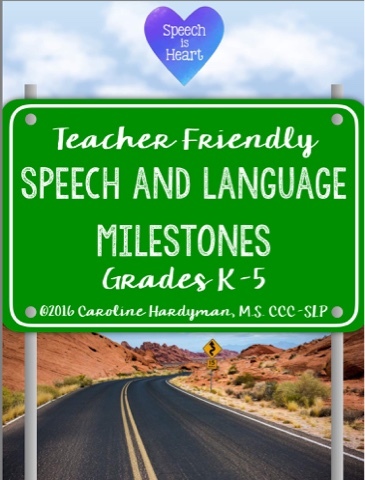 Start your year off with these teacher friendly speech and language milestones. When using this with my teachers, less students are missed and the referrals I receive are more appropriate. Teachers love them too. The information was adapted using ASHA norms. 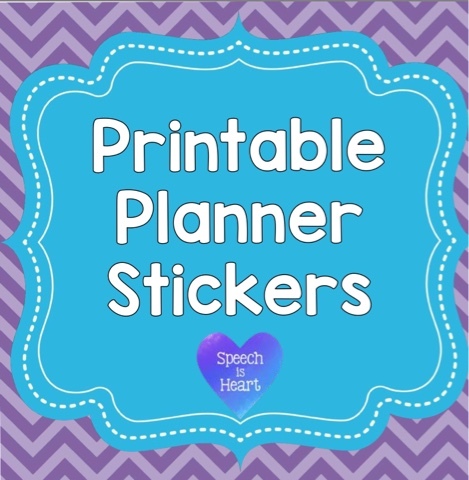 Help make your planner functional and beautiful with these printable planner stickers. Make these with your own printer and labels. I love how I can take a quick glance at my calendar and know exactly what is going to happen that month and each week. And if you have some awesome stickers, you'll need a planner to go with it. 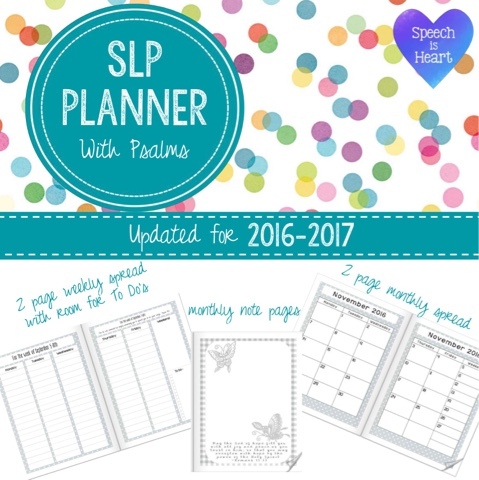 Make sure to snag my newly updated SLP planner with Psalms. Keep your 2016-2017 school year rooted in God's word with weekly Psalms and monthly Bible verses. Enjoy the sale and don't forget to use the promo code "BestYear." 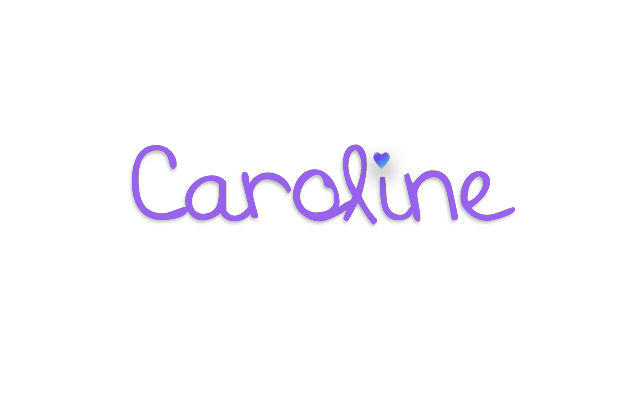 Also check out the rest of my store for up to 28% off. Best year ever! 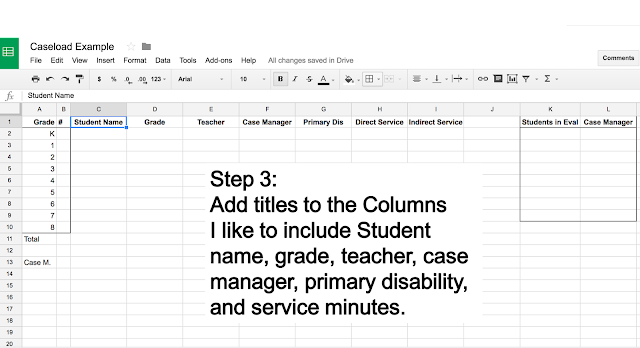 As my caseload grows, people frequently ask how many students I see each week. For a while I would just shrug and say, "alot." 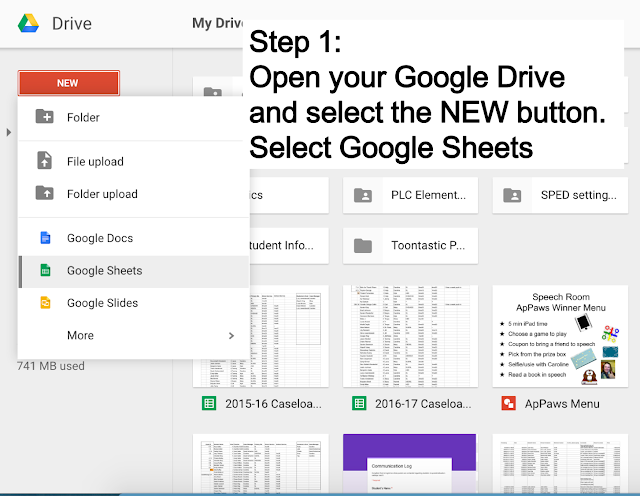 I knew it was time to get organized and store my information in a way that I could easily access. The solution: Google Sheets. I've never been afraid of using Excel. 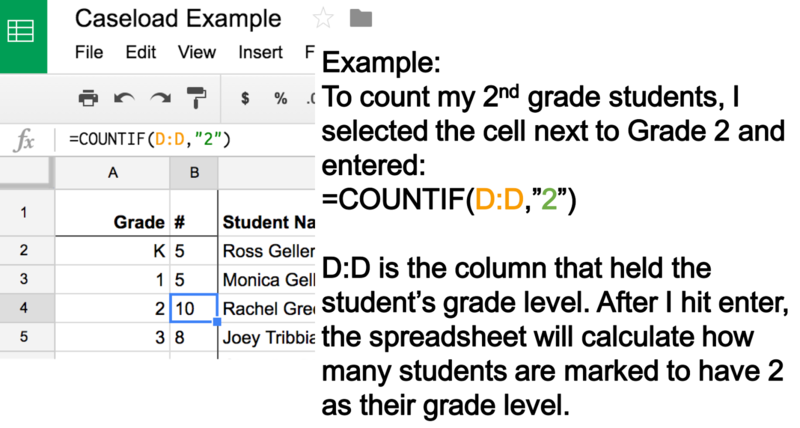 My dad, a wonderful engineer, uses excel for everything - budgeting included. 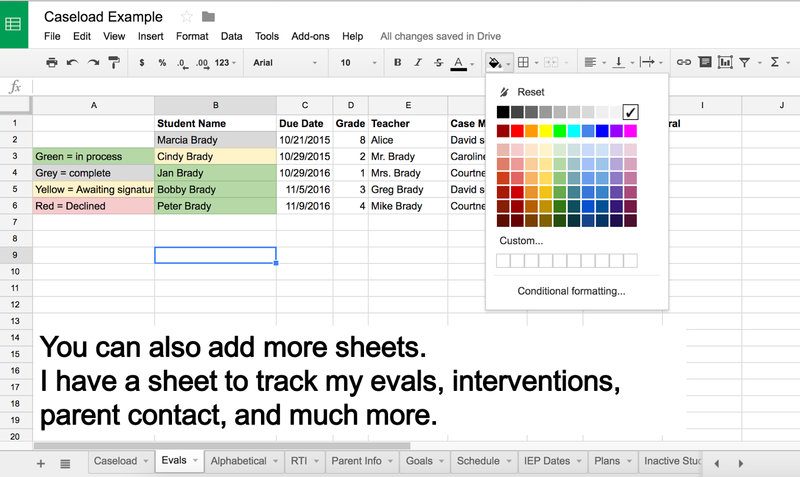 I like Excel, but I love how I can access Google spreadsheets from my computer, iPad, and phone. 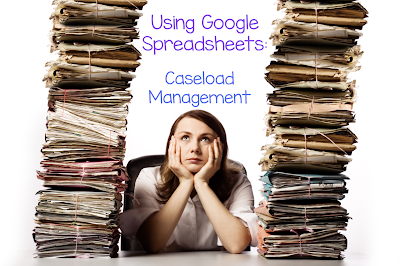 I keep track of my caseload using Google spreadsheets. 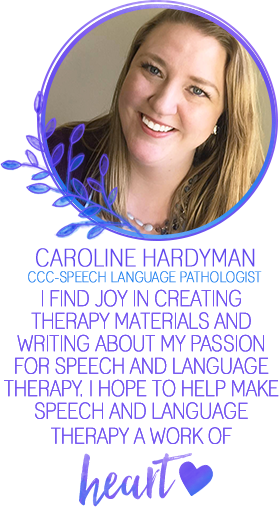 Here's what I do. 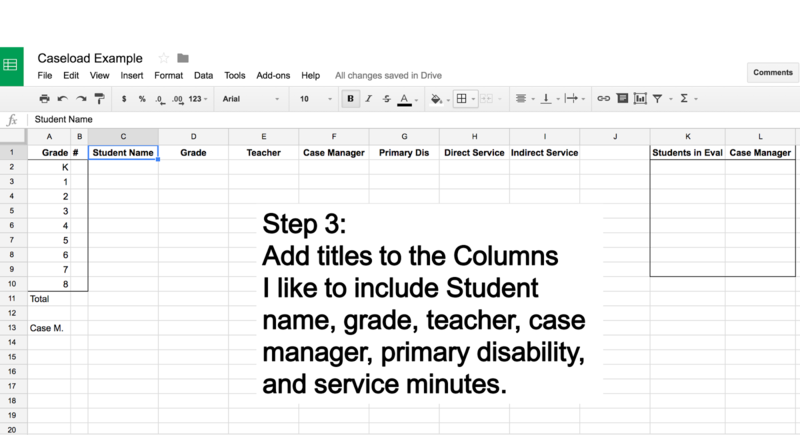 Fill in each student's information in the appropriate column. 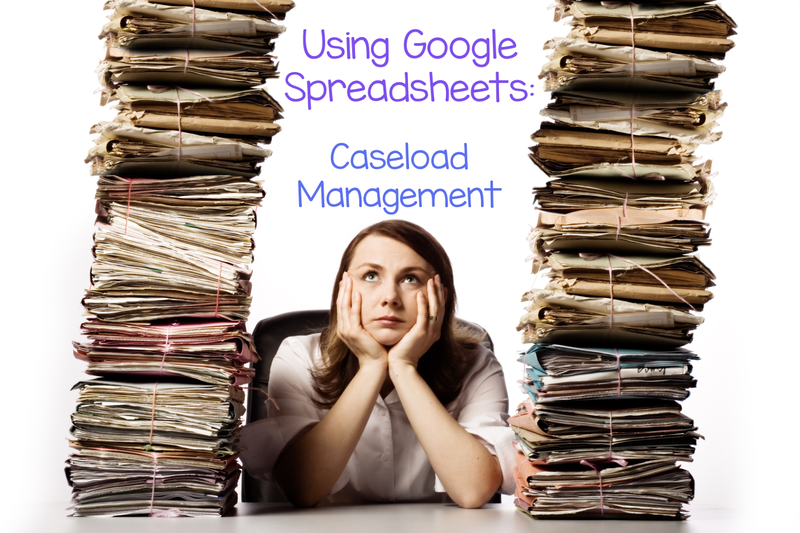 This is just one way to organize your caseload. 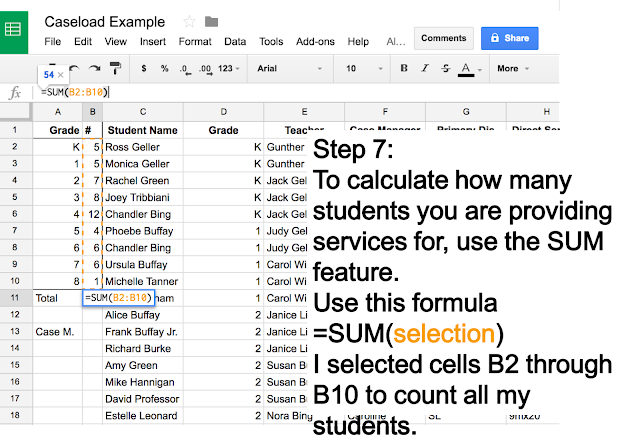 I love how I can share this document with administrators and teachers so they know how many students I actually work with. I am also able to access this information from home, which is very helpful. 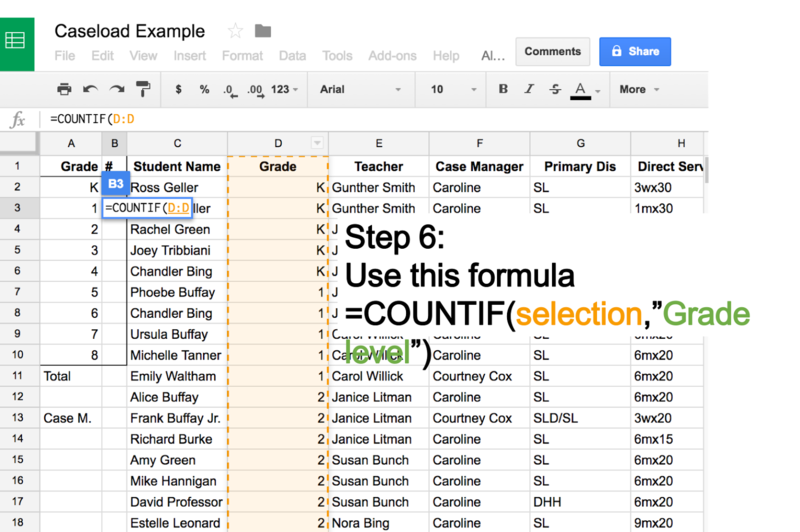 For a copy of this spreadsheet, you can click HERE. Don't forget to change the formula next to CaseManage to include your name instead of mine. I hope this information helps you get organized and ready for fall.